Tuesday Evenings: Meet at Olympic House, Howth. Choose from EITHER a lap of the Hill at 6.25pm OR a shorter, flat run at 7pm AND/OR a strength & conditioning class (€5 of €50 paid up front for 12 weeks) at 7:30pm in the Burrow School Hall. 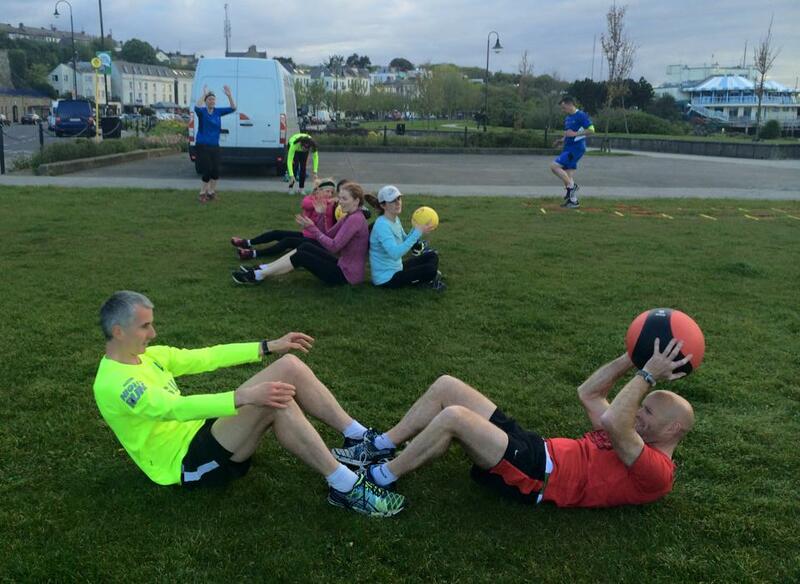 Thursday Evenings: Meet at Olympic House, Howth, at 7.30pm - groups will run over the hill or on the flat depending on ability. 15 minutes of drills followed by training run or tempo run. 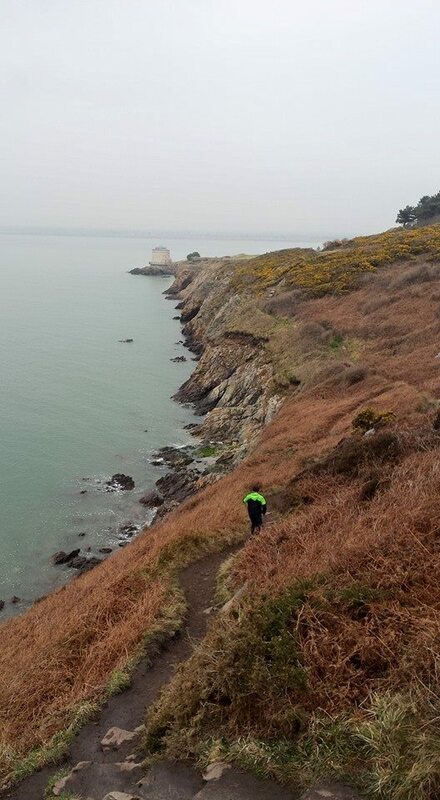 Saturday Mornings: Meet at the Abbey Tavern, Howth, at 7:00 am - groups will go on a trail run starting at the village, going up Balscadden and onto the trails towards the lighthouse and as far as the Martello Tower depending on ability. 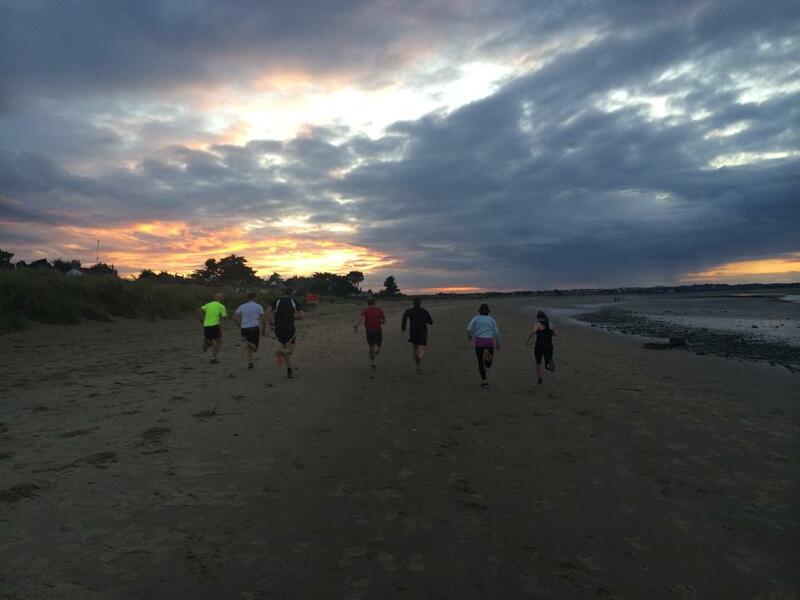 Tuesday Evenings: Meet at Olympic House, Howth, at 7.30pm for a run and strength & conditioning session. 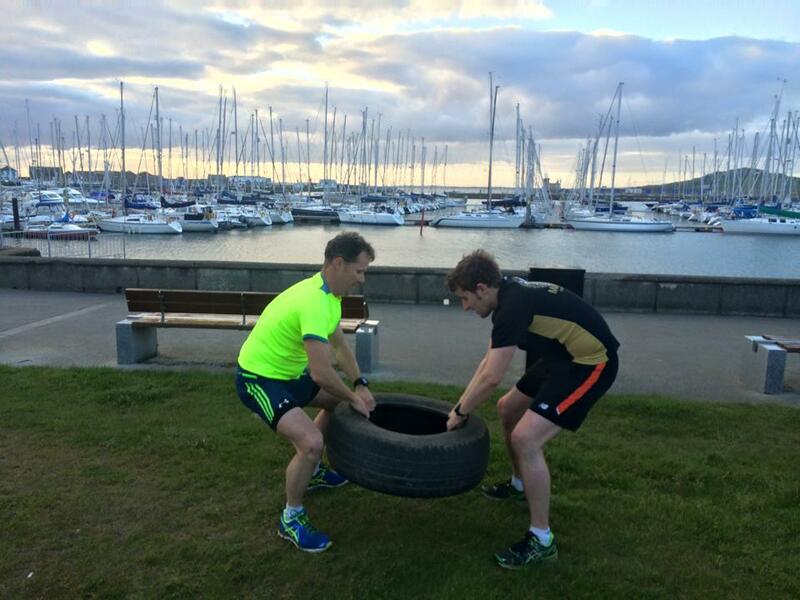 S&C sessions will vary between circuits up at the Martello Tower, interval sprints on Burrow Beach or hill repeats on Balcadden Road. Thursday Evenings: Meet at Olympic House, Howth, at 7.30pm - groups will run over the hill or on a flat run depending on ability. 15 minutes of drills followed by training run or tempo run. As the evenings get longer we will incorporate trail runs on the cliff path. Saturday Mornings: Meet at the Abbey Tavern, Howth, at 7.00am - groups will go on a trail run starting at the village, going up Balscadden and onto the trails towards the lighthouse and as far as the Martello Tower depending on ability. Please come to training on time and warmed up, as we will start straight away. Please check our Facebook page to confirm training does not clash with any races we may have on, particularly at the weekend.